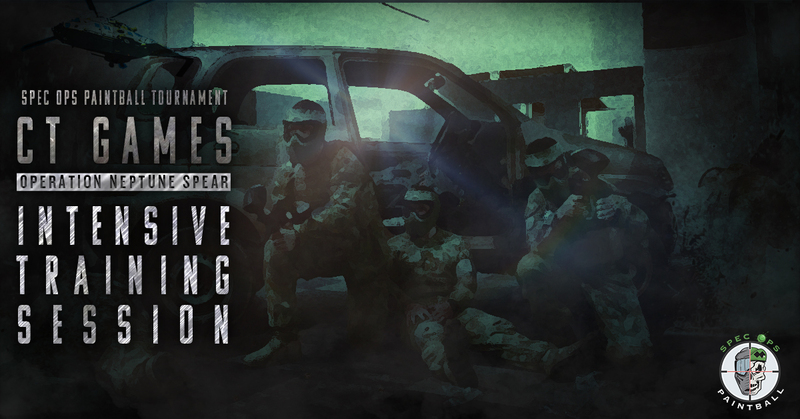 Home » Spec Ops Blog » Are you taking part in operation neptune spear? Are you taking part in operation neptune spear? Spec Ops will be running intensive training sessions to help teams prepare for the upcoming CT (Counter Terrorism) Games, a paintball tournament that will take place on Sunday the 8th of April, 2018. There will be two training sessions, which will run on Wednesday, 28th March 2018 and Thursday, 29th March 2018 from 6.00pm – 8.30pm. These sessions are only open to players participating in the CT Games. Cost is $50 per person, with all gear and 200 paintballs included. The sessions are limited to only 12 players per session, so it’s important that you register ASAP. The CT Games are the most intense tactical game ever played in paintball history. Designed by an ex special forces soldier, the CT Games are the ultimate test of skill, tactics and teamwork. Our Intensive Combat Training will give you the skills to take the CT Games to the next level! MAKE SURE YOU’VE GOT WHAT IT TAKES TO KILL OR CAPTURE BIN LADEN – REGISTER FOR OUR INTENSIVE TACTICAL TRAINING COURSE! Haven’t signed up for the CT Games yet? Sign up now! If you have any questions, give us a call on 07 3839 5134.